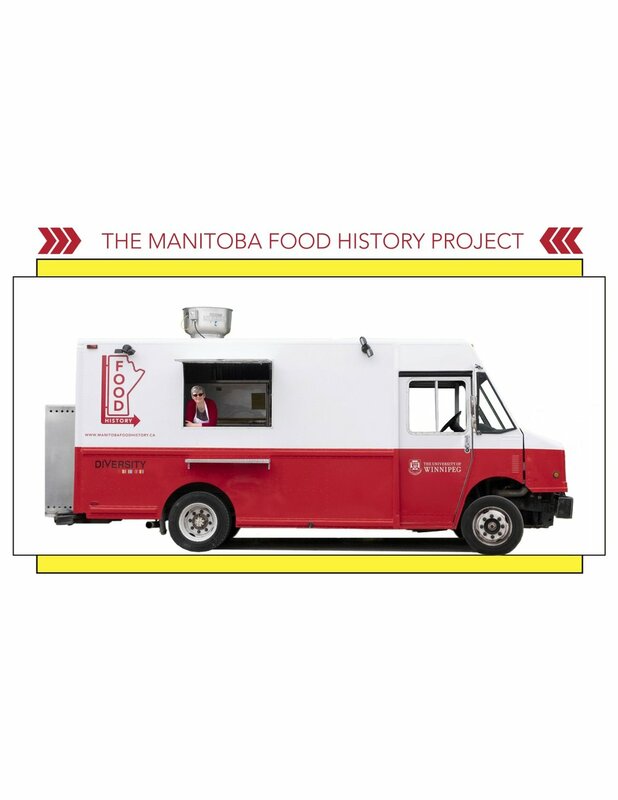 The Manitoba Food History Truck is getting ready to hit the road for its second year. Interested in where to find us? Check out the Events page, which we update on an ongoing basis. You’re invited to schedule a visit with us -- hop on board the truck to cook something meaningful to you while we interview you about your life and your experience with Manitoba food. Your interview will be archived at the University of Winnipeg’s Oral History Centre. Recipes and stories will be published in a Manitoba Food History Truck Cookbook. And interview excerpts will be used to produce podcast episodes and story maps. Curious about where we’ve been so far? Check out our map! If you’re interested in cooking and being interviewed on the Food History Truck, please fill out our online form. We look forward to hearing and sharing your story! Janis Thiessen inside the Manitoba Food History Truck. Photo and design by Kimberley Moore.